Ride Free on Your Birthday (national): Don’t forget cake. $36 Dollar Rooms at Keystone (CO): Cheaper than a Motel 6. Discount Tickets for Early Season(national): Donate to charity. Get cheap ticket. Free Season Pass at Mt. Ashland (OR): Become a chaperone. 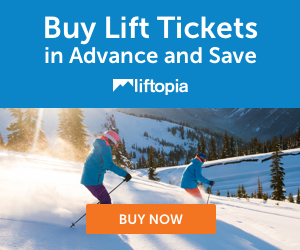 Free Lake Tahoe Tickets (CA): At the Bay Area Snow Expo.